Kenner Fire Department PSA - "Stop, Drop and Roll"
Kenner TV is a Government Access Channel granted to the City of Kenner per franchise agreement with the local cable provider for the purpose of cablecasting government and community television programs. It is administered by a Managing Producer under the direction of the City of Kenner's Information Technology and Telecommunications Dept. 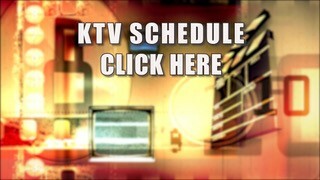 Kenner TV presents programs on Cox Cable Jefferson Parish Channel 76 and on AT&T U-verse Channel 99. Programming includes recurring shows on city departments, nationally produced government and educational material, special features highlighting the diverse civic and cultural landscape of Kenner and special features that reflect, inform and inspire the community Kenner TV serves. Programming decisions are based only on content and production value. Kenner TV strives to be a relevant and valuable part of the Kenner Community by presenting interesting and informative programming that will help mobilize our community toward citizen involvement and promote civic pride. Provide any and all emergency information involving public safety and health. Present City Council meetings and, when feasible, other proceedings of interest to Kenner citizens. Produce programs that explain policies and laws of the City of Kenner. Examine issues of significance in Kenner's neighborhoods and communities at the local, state and federal levels. Concentrate on shows that feature activities of and changes in various City Departments, cultural and historic aspects of the city and its citizens and other programs of general interest to the community. Obscentities, gratuitous violence or material deemed inappropriate for children, encourages substance abuse or cigarette use, constitutes an invastion of privacy, defamation, libel or slander, contains political messages or promotes any political agenda.